It is almost impossible to overstate the position of the 1958 model in the hearts of the Corvette enthusiasts... Being the fifth year of Corvettes, the 1958 came with a nice and attractive re-design, also with some cool features that were available only for that year like the washboard hood and the trunk spears. Combine this with the dual round headlamps and other new features, then add the classy Silver Blue with the Silver coves and you have a WINNER! 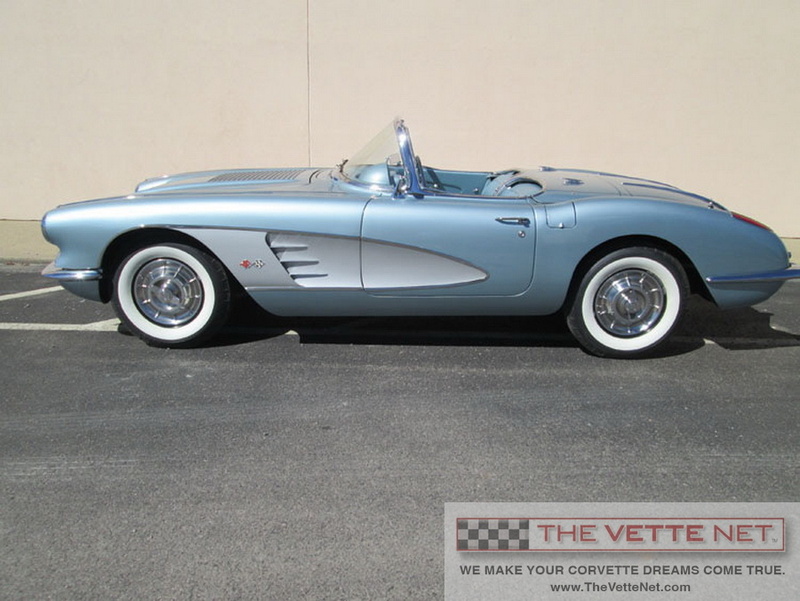 That is exactly our offer today, a stunning Silver Blue Corvette . Check out the newer paint in excellent condition, the very nice interior, carpet, seats, door panels, etc. Correct original gauges are present. The White soft top is fitted well with no rips or tears. The engine is a newer crate small block Chevy mated with a 4-speed manual transmission, all in great running condition. Chrome, overall, is in very nice condition, bumpers, door post, trim... Trunk is clean with the correct tire board and rubber mat. Undercarriage is very presentable as seen in the pics. All in all, here is a fine example of a desirable 1958, a true collectible with potential to appreciate. Located in TENNESSEE, we will arrange delivery all over the country and the world.